This boat is a great all around fun boat for the family. 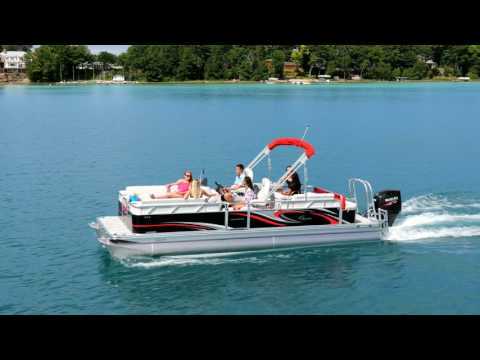 Being a 20' triple tube pontoon it is big enough to take on the big waters but small enough to be very nimble and quick. Powered by a 150HP Honda it has enough power and speed to pull skiers or just go fast to cool down on those hot summer days. The LS series from Qwest are loaded with a ton of great standard features and this boat has had the following options added to it to make it even more functionally and fun. Ski locker, Refreshment center, Diamond Seagrass flooring, Blue Ice lighting package, High pressure washdown station,Ski tow bar, and more. Stop out to see this great boat.